Sekers is proud to be celebrating their 80th anniversary this year. Miki Sekers and his cousin, Tomi de Gara, founded the company on the borders of the Lake District in 1938. Prior to coming to England in 1937, they both trained in the textile industry in Hungary, France and Germany, before forming the silk factory at Hensingham in Cumbria. The West Cumberland Silk Mills was formed to manufacture high quality silk and rayon fabrics for the fashion trade. Between 1939 and 1945 the war intervened and the company was engaged in government contract work, weaving two million yards of parachute nylon, and subsequently only a very small part of production capacity was able to be devoted to developing fashion fabrics. 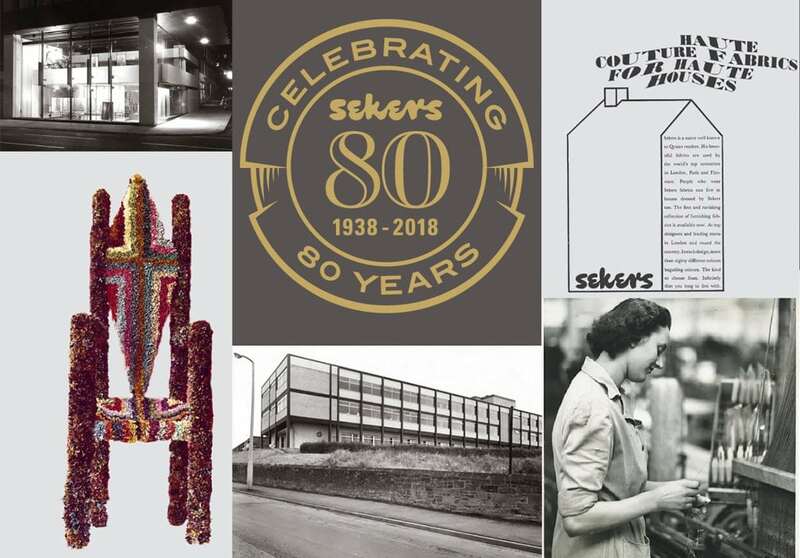 Sekers, currently in their 80th year of trading now specialise in the design and supply of furnishing fabrics and wallcoverings to the international hospitality market. Servicing architects and designers involved with this industry, they are key suppliers to many famous hotel chains along with cruise ships, restaurants, bars and healthcare markets. Sekers have partners in all the key design regions globally; America, Europe, the Middle East and Asia making it a truly international brand. Click here to read more about Sekers history.